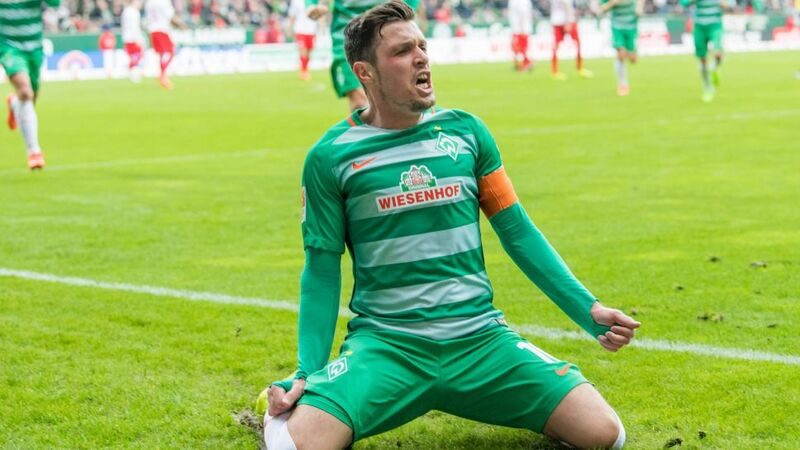 Werder Bremen midfielder Zlatko Junuzovic underlined his reputation as one of the league's long-range kings with two stunning moments of inspiration in Matchday 25's 3-0 win against RB Leipzig. Click here to sign Junuzovic for your Official Fantasy Bundesliga team! The Austria international opened the scoring with a sweetly struck volley into the bottom corner, before laying on another for Florian Grillitsch with a superb invention, playing a short free-kick to fox the Leipzig defence and allowing his team-mate to convert. Florian Kainz then added a late flourish to help Junuzovic and Co. climb to 13th in the league table. Junuzovic's goal was only his second of the season, the other coming on 15 October in 2-1 win over Leverkusen.Seven of his 17 Bundesliga goals have come from outside the penalty area.The 29-year-old wasn’t afraid to put in a shift - he clocked a game-high 11.98km.